This limited edition aviator comes with curved temples for a truly secure fit. Featuring a gold frame, this iconic yet sportier look has been modified for utility. 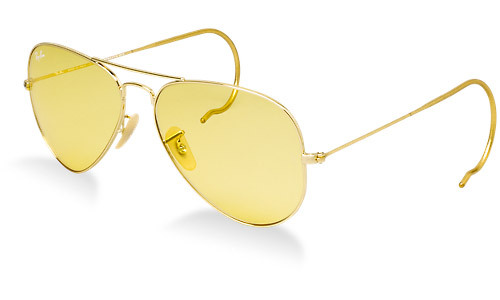 The stunning yellow Ambermatic lenses endure light and weather conditions.